My goal at The Law Offices of John M Alton Co, LPA is to take the stress out of your life and to help carry the burden of your personal injury case off your shoulders. If you are facing a medical malpractice matter in the Columbus area, count on me for legal guidance. With nearly 25 years of legal experience, I have the know-how and resources to make smooth work of your medical malpractice case, no matter how complicated it might seem. I can deal with your insurance company. I will go to the appropriate court serving the Columbus area to get the results that you want. 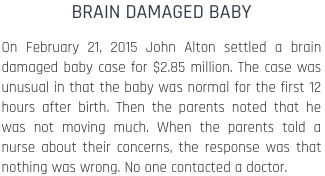 If you have had a medical malpractice matter happen in your life and need help, The Law Offices of John M Alton Co, LPA is here for you. I can assure you that we will always act with the utmost respect for your feelings and with the highest ethical standards. I will work hard to find a fair solution that works for you to make your medical malpractice a thing of the past emotionally and financially, and win your battle. We are very thorough with all medical malpractice matters, and will treat your situation with the highest priority and concern. A personal injury lawyer will be able to take care of the enormous task of investigating the circumstances of your medical malpractice matter, filing with the court, requesting applicable medical or law enforcement records, and communicating with the other side in an effort to settle the medical malpractice matter quickly. Your case is my priority. 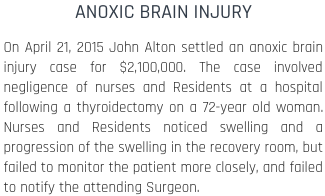 With the aid of an experienced personal injury attorney like me at The Law Offices of John M Alton Co, LPA, you can focus on your own recovery and relax knowing you have a fantastic lawyer working to your medical malpractice cases to your advantage. 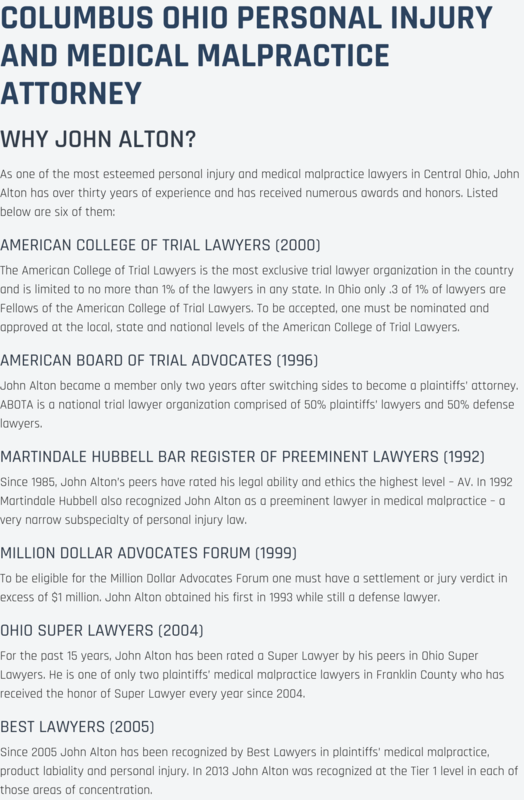 When you seek legal expertise in the Columbus area, work with the professionals at The Law Offices of John M Alton Co, LPA. We devote ourselves to your medical malpractice case so you do not have to handle the headaches. Call us today at (614) 221-6751 or visit our offices at 1071 S. High Street.